Am staying here Oct 09. I'm sure the apartments are going to be just fine . I've spent a lot of time at the Scorpion over the years just never stayed at the apartments. Anyway, what I would like to know is - anyone flown from/to Birmingham on the night flight? Just wondering what you did in between vacating your room and being picked up for the flight? Do the guys at the Scorpion keep the bar open? Stayed here last year as well. Cheap and cheerful........Basic but clean. Olympic rep. Charlotte is an absolutely delightful young lady, good knowledge of the island and nothing is too much trouble. This won't be our last visit. had a reli good stay. Rooms could do wiv being cleaned more often as the shower goes everywere. Good apartments, friendly staff except for when they decide to blame you for damage you didn't do, they can get rather angry, but i wasnt scared as I was trying t o impress my 3 'Lady' friends. Just back from Kalamaki. It is so quite this year. I think even the Greeks are feeling the effects of the credit crunch. The apartments are still the same and so are the brothers. This is a very clean and well run accommodation. Was annoyed on Thursday when 3 guests damaged furniture in their studio, tried to leave for the airport before it was noticed and when they were caught and made to pay for the damage tried to blame the owners! Don't worry guys, the three 'ladies' you tried to impress quickly forgot you as three new victims arrived shortley after you left. Such is life! Booked for June 20th but Olympic still don't fly from Newcastle so we can't stay here again but we will be by the pool every day as usual. Don't know what people mean when they say these are average. They are advertised as basic studios and that's what they are, but they are clean, in a good postion and the Greek family who own them are very good hosts. They will leave you alone if that's what you want but will look after you and be friendly if you make the effort to get to know them. So we're looking forward to seeing Ronnie, Gill and the rest of the gang and Ian & Kaz when they get around to booking something. Nicola & David are arriving on 12th. If it was rubbish so many people wouldn't go back year after year would they? Yamas my friends from The Parrys! the rooms are ultra basic even for Greece (been loads of times to the same resort) the ants were really bad and dont even think about staying in for a meal theres very little in the way of kitchen equipment. The three brothers that run the show are ok but a little grumpy but not as bad as i had heard. over all would not stay here again but the resort itself is great for all ages just watch the roads and feed the strays! Hey Matt, was that room T6? Looks like the room me n my bf stayed in! Recognise the dodgy lights! If it was, was my weird colourful storage hanger thing in the wardrobe? Nah the shipwreck trip isn't a con. You can see it either on a coach tour round the island or on a boat tour round the island- the only way to literally touch it is by going on the boat tour, in which case the boat parks up and you have to swim to it, if i remember rightly, the water's bloomin freezing! And I think the beach which it is on is shingle. In my opinion the coach tour was best, saying that though it was a fair few years ago that I went on it. Each to their own I suppose! Hellas Well what can i say.. Me and my Mom and Brother really enjoyed our stay! Its going to be a holiday to never forget as we had so much fun! The apartments are very basic but that didnt bother us as they were clean and we had beds which was all that mattered. The balcony had a beautiful mountain/hill view. Cleaners came round twice while we were there and they are very friendly. The pool side is very relaxing, clean & has music playing during the day. But for all the shallow swimmers make sure you check how deep it is before jumping in because its deeper than it looks. The bar is very clean and relaxing also and the drinks and food are very cheap! Club sandwhich and Special sandwhich were our favourite food on the menu and are a must try. Banana Bliss cocktail drink is a must try too. The brothers Yanis, Spiros & Denis are very friendly and constantly made us laugh. They seem very quiet and misserable but deep down they aint! Haha. Overall the stay was fantastic and we really enjoyed it. You are in the middle of everything you need like shops, bars, restuarants and beach. Greek night at the Costa Bar 5 minuite walk from apartments on a Tuesday night is a must try and is a night to never forget! We didnt enjoy the boat trip though! Payed 20 euros each to go and see the ship wreck and turtles and in the end we didnt see neither of them because of the weather at sea..(waves were too bad aparantley) HAS ANYONE ACTUALLY EVER SEEN THE SHIPWRECK? Because we come to the conclusion that it maybe a bit of a con. Kalamaki is a place to relax and there is always something going on if you get a bit bored. Its a place which you either Hate or Love and WE LOVED IT. We will be back next year. All in all it was a good stay, food was good in bar, even though a bit pricey, pool area is great, gets the sun all the way to evening, apartments are basic, but we didn't expect anything less for a 2* apartment, they get cleaned 3 times a week, i paid just over �400 for two of us for a week and for my money i dont think i can complain. I love Zante! These apartments were actually the most basic i've ever stayed in in the Kalamaki resort (this was my sixth time coming here) but I guess half the time most won't be in the apartments a lot through the day anyway. Cleaners definately did a good job. 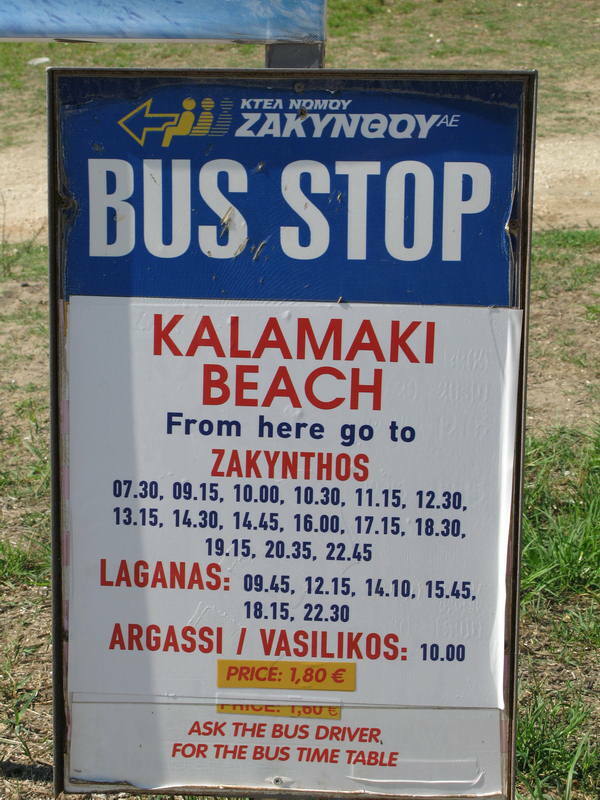 They are in a good location, with about a 15 minute walk to the beach and about 15 minutes to the other end of Kalamaki where Cave Bar and such like are (the 'original' Kalamaki!). It's a good, clean pool, the sun's on it all day until around 7 o clock, and bar/food service is good in the Scorpion bar, friendly. There was only myself who was really used to the 'Greek way' in our party of four who came here- those who are used to going to places other than Greece may be rather shocked and disgusted when they get here due to the really basic apartments (i.e. hand held showers, the toilet paper in the bin thing...), but it wouldn't take much getting used to! I'd stay here again I think, but I know the other 3 probably won't be rushing back in a hurry... You get aircraft noise, which is pretty obvious as the airport's only bout 3 miles away, and scooters racing about on the main road- these apartments are just set back off the main kalamaki-laganas road. All in all- a great holiday in my opinion! not impressed with this apartment at all. i paid over �1000 for two people sharing and i feel really disappointed and cheated. it was terrible. we have stayed in zante for three years and have never complained once. i understand basic but this place was diabolical. 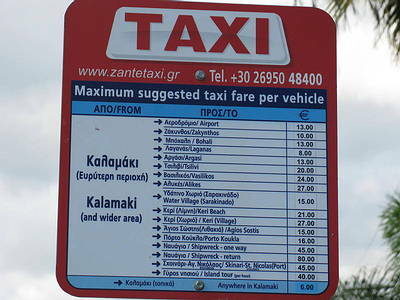 i will not be staying here again but apart from that zante is still far the best island out of all of greece. I don't get why people keep going on about the safety deposit boxes.. why would they give you your money back? what would be in it for them? it says 15pound a week (or whatever it is) it doesn't say you get your money back! It is just a safe to deposit your valuables in ?!?! Just back from Kalimaki and we have to say that we weren't that impressed with the studios....very basic.....ants everywhere and who said the brothers were friendly.........we found them to be very ignorant and surly, I can only think that they don't like the Scots as the only negative feedback seem to have came from a fellow Scot......been to Greece on many occasions and have always found the locals very friendly.....but these lot.......we certainly won't be going back. I find it hard to believe that it had an overall rating of 8 out of 10 from people who had previously been there......the brothers must have been feeding you all plenty of drink ......the best we would do is a 4 and that's being generous. Oh and beware of the deposit for the electronic safe in the room.....you don't get it back at the end of the stay. Some really good restaurants and a nice, quite resort.......lots of families......it was unseasonably and unbearably hor 45 degrees most days thank god for a pool......hi to all you lovely folk that we met and Bertie did Manchester go on to beat Fulham????? Just returned last night from Kalamaki first time in Zante and really enjoyed it. Best Greek holiday i have had. Stayed in the Dionysis and Tonia Apartments, it was the best i have stayed in , in Greece. The rooms were basic (as all Greece) but very clean the cleaners were there 3 times in a week changed beds, tidy round and for the first time in Greece we didn't have to buy our own toilet roll!! Pool area very nice, sunbeds can get pretty filled up though as people who do not stay in apartments often use pool and bar. Bar area very nice and the full English breakfast was lurrvelly!!! Didn't see many ants at all loads of little lizards though on a night but non ventures into our apartment. Although don't leave your lilo in the pool over night as when there is too many they just slash them all so everyone has to go buy new ones! The brothers were very friendly however and i would def go stay there again. Me and my friend stayed in July and these apartment were amazing! The Brothers were also amazing there was never a dull moment with them! Especially Spiros and his great idea!!!!! They were in hiding for ages ! The rooms are lovely and clean, and the brothers wives are the sweetest people ever! The pool is a great size, and theres so many different ages - easily the best holiday in Kalamaki yet and it was my 5th time! See everyone again in september!!!! Hiya, Me and my boyfriend got back today from 2weeks staying in Tonia Studios. The location is really good, just off the main road. Short walk to the beach, a supermarket right nextdoor, mini golf 2 mins away and the main road 2 seconds walk away! (comes out opposite Drunk Corner). We were on the bottom floor and the rooms were really cool so we didnt really get hot at night which was good as we didn't need to hire a fan. No complaints about the place its self, or the 3 brothers.. they were sound. The food is good and reasonably priced. loud motorbikes and cars and insist on sitting on/in them shouting to eachother whilst revving their engines. So be warned if you are a light sleeper and staying in Tonia! Overall the place is nice and clean and in a really good spot with great views of the mountains. I've got loads of photos of the studios and pool/bar/views/everything which I will try and get up! 2nd time to Zante first time to Kalamaki, and let me tell you it was fab, think the alcahol is too cheap though as some of these negative comments below seem to be written by people who obviously had there eyes closed for a fortnight, for gods sake its greece,,,, its clean, laid back, chilled, the people are friendly will do anything for you, family orientated, there not forceful with money, dont know how many times i got told, ahh pay me later pay me later, which i did just to add, I stayed next door to the dionysys and used the scorpion bar facilitys everyday, you are and will be looked after believe you me, everything makes this the ideal place, the people who stay there (ie: the crew), the brothers, pappy, the domestic assistants, and even the reps for once, so I heard anyway, best vacation ever, chilled, layed back good laugh, no trouble no *ob heads, and for 7euros you can go into laganas for a lively knees up rahhhhh, but be careful what you drink!!!!! Dionysis and Tonia apartments are the best run apartments in Kalamaki maybe even on Zakynthos itself . these apartments, although small (arent all aparments in Greece) they are immaculatly clean thanks to Shula, Athina, and Dani (The wives of the Brothers) and have enough in them to survive; but even on a budget you shouldnt have to use much more than the kettle as the food prices at the restraunts and bars in kalamaki are still very very reasonable and the adjoining scorpion bar does a wide range of food from 8:00 till 19:00 again at very good prices . The rooms get cleaned 3 times a week with clean towels and bedding each time so unless you trash your room it can only stay clean. The setting is wonderful and very well kept and the adjoing pool is wonderful, you can have great fun on airbeds in it.The stories about the brothers is grossly untrue, yes they are mad and loud but as for chasing females up to there room, well, if mammy found out then there would be a BBQ and the brothers involved would be the main course. So all in all these apartments are the place to go in Kalamaki. with everything you need on hand. this place was fantastic,dont listen to any other comments.the three brothers are very funny and provide great entertainment if u just get to know them.the rooms r basic but what boring get stays in the room other than to sleep anyway.u will have a wicked time.yammas.